If you ask me, these are the best pancakes in the world! I don’t care for the typical pancake, they aren’t very flavorful and leave me hungry. 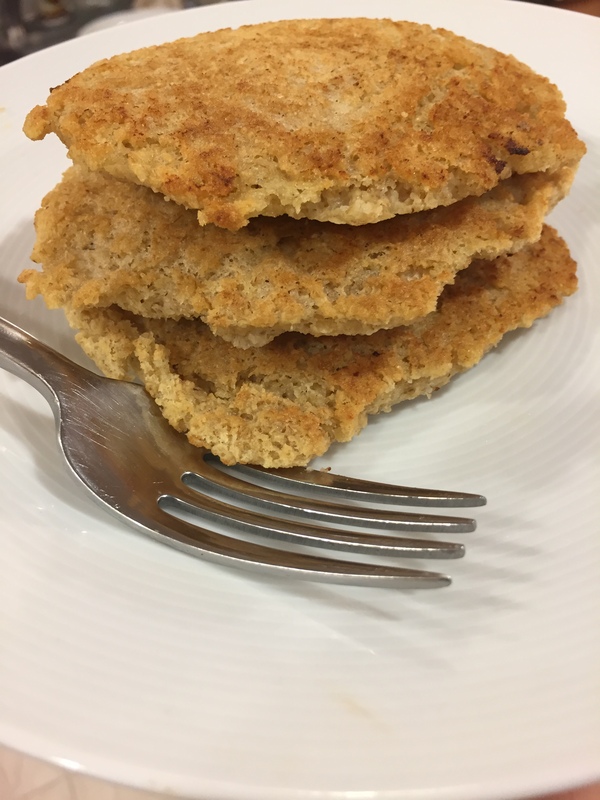 This pancakes have a beautiful texture and are loaded with healthy fiber. They are rustic and hearty yet still light and fluffy. Today, I’m enjoying them on the morning of a snow storm to prepare for snow shoveling! Serves 4 people, about 8 pancakes total. Combine the first 4 ingredients in a large bowl. Add the milk and egg and mix well. Let the batter sit for a few minutes while you put a large skillet on medium heat and let it warm up. Add 1 tsp of butter or oil to the pan, then pour 1/4 cup of batter per pancake into the pan. Cook for about 4 minutes, then flip and cook for another 2 minutes or so, until done. Serve with maple syrup, nut butter, or yogurt and fruit.